Name Variation M. Gertrude Mercer was also known as Gertrude. Married Name 29 December 1892 As of 29 December 1892,her married name was . M. Gertrude Mercer was born circa 1874 at Pennsylvania. She was the daughter of Joseph W. Mercer and Mary J. Ferrell. M. Gertrude Mercer married Frank S. Wetsel on 29 December 1892. Bessie W. Mercer was born in 1878 at Pennsylvania. Married Name 28 April 1870 As of 28 April 1870,her married name was Mercer. Elizabeth M. Kinnard was born circa 1845 at Pennsylvania. She married Reuben McMinn C. Mercer, son of Kersey Mercer and Mary M. Walker, on 28 April 1870. Hannum Mercer was born circa 1871 at Pennsylvania. He was the son of Reuben McMinn C. Mercer and Elizabeth M. Kinnard. Charles L. Mercer was born circa 1873 at Pennsylvania. Louella Mercer was born circa November 1879 at Pennsylvania. She was the daughter of Reuben McMinn C. Mercer and Elizabeth M. Kinnard. Name Variation Beulah Idell Johnston was also known as Idell. Name Variation Beulah Idell Johnston was also known as Bulah. Married Name 24 November 1938 As of 24 November 1938,her married name was Spyker. Married Name after 1964 As of after 1964,her married name was Stephens. Married Name 11 April 1972 As of 11 April 1972,her married name was Coffman. Beulah Idell Johnston was born on 20 May 1917 at Lime Ridge, Sauk, Wisconsin, also reported as Cazenovia, Richland, Wisconsin. She was the daughter of James Frederick Johnston and Martha Lucy Cortleyou. Beulah Idell Johnston married Guy Evan Spyker, son of Carl Merville Spyker and Florence Bell Reagles, on 24 November 1938 at Washington, Iowa, Guy Spkyer and Beulah Idell Johnston marriage license. Beulah Idell Johnston married Ulysses Stephens after 1964. Beulah Idell Johnston married Cleatus Coffman on 11 April 1972. Beulah Idell Johnston died on 9 February 2009 at Tulsa, Oklahoma, at age 91 Funeral Services for Beulah Idell Coffman, 91, of Turley, were held Monday, February 16, 2009 at the Osage Hills Christian Church in Tulsa, OK. The Reverend Chet Veazey and Hershel Martin officiated and burial was in the Rest Haven in Sperry, OK. Honorary Casket Bearers were John Spyker, Edward Spyker, Jessie Spyker, Joel Spyker, and Tim Veazey. Arrangements and services were entrusted to Johnson Funeral Home, Sperry. Idell was born May 20, 1917 in Cazenovia, WI to James Fredrick and Martha “Mattie” (Cortleyou) Johnston. She passed away February 9, 2009 in Tulsa, OK.
Idell was a Wisconsin school teacher. She later did missionary training at the Moody Bible Institute of Chicago, and New Tribe Mission of Chicago and California. For numerous years she worked in many vacation bible schools, summer church camps, children’s activities and community clubs. With permission of the Superintendent and school board she taught Bible classes on school time in Pawnee County, OK. She worked with youth groups to perform skits in homes, churches and other communities for Easter and Christmas. She also taught youth group bible studies mid-week and in homes. Idell helped start American Inland Mission in Gentry, Arkansas. She was also an employee at the Eastern State Hospital in Vinita, OK. She left a godly legacy for all of her family. She is survived by her son, James Spyker and wife Beverly of Dallas, TX; son-in-law, Chet Veazey of Sperry; daughter-in-law, Gayle Tapp of Enid; grandchildren, Tim Veazey and wife Kathy of Russellville, AR, Tina Crase and husband Lonnie of Sperry, Taylene Inman and husband Jim, Robin Honeycutt and husband Bill of Portland, OR, Brenda Wells of Garber, John Spyker and wife Kim of Cleburne, TX, Edward Spyker and wife Kelly of Hurst, TX, Jessie Spyker and wife Teri of Dallas, TX, Joel Spyker and wife Mary Beth, 29 great-grandchildren; 4 great-great-grandchildren; and many other relatives and friends. She was preceded in death by her husbands, Guy Spyker, Ulysses Stephens, and Cleatus Coffman; son, Robert Spyker; daughter, Genevieve Veazey; granddaughter, Ila Jean Veazey; parents, James and Martha Johnston; brothers, Raymond Johnston, Theron Johnston, and Lyle Johnston; sisters; Florence Carter and Mary Holloway. [S243] U.S. Federal Census 1920 U.S. Federal Census, by Ancestry.com, Year: 1920;Census Place: Lime Ridge, Sauk, Wisconsin; Roll: T625_2015; Page: 1B; Enumeration District: 170; Image: 237. [S250] U.S. Federal Census 1930 U.S. Federal Census, by Ancestry.com, Year: 1930; Census Place: Lime Ridge, Sauk, Wisconsin; Roll: 2609; Page: 3A; Enumeration District: 21; Image: 240.0. [S373] U.S. Federal Census 1940 U.S. Federal Census, by Ancestry.com, Year: 1940; Census Place: Willow, Richland, Wisconsin; Roll: T627_4518; Page: 7A; Enumeration District: 52-23. James Edward Spyker Sr. was born on 29 March 1943 at Oklahoma. He was the son of Guy Evan Spyker and Beulah Idell Johnston. James Edward Spyker Sr. died on 13 November 2015 at Texas at age 72. James Edward Spyker Sr. lived in April 2009 at Dallas, Texas. Robert Eugene Spyker was born on 5 September 1941 at Ithaca, Richland, Wisconsin. Robert Eugene Spyker died on 16 July 1966 at by a lightning strike while working on the roof, Langley, Oklahoma, at age 24. 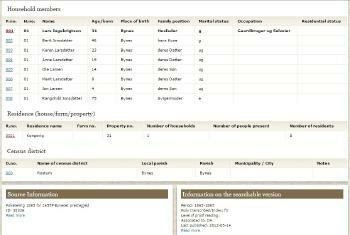 Robert Eugene Spyker obtained US Social Security Card at Oklahoma; last residence not specified. Name Variation Genevieve Elayne Spyker was also known as Jean. Name Variation Genevieve Elayne Spyker was also known as Jeneve. Name Variation Genevieve Elayne Spyker was also known as Gene. Married Name 17 June 1957 As of 17 June 1957,her married name was Veazey. Genevieve Elayne Spyker was born on 17 January 1940 at Willow, Richland, Wisconsin. She was the daughter of Guy Evan Spyker and Beulah Idell Johnston. Genevieve Elayne Spyker died on 23 February 2000 at after 4th brain surgery at age 60. Genevieve Elayne Spyker obtained US Social Security Card at Oklahoma; last residence Sperry, Tulsa, Oklahoma. She lived in 1957 at Red Rock, Oklahoma. In April 1957 at Baron, Oklahoma, E B Veazey - 81st birthday celebration held 31 Mar 1957. 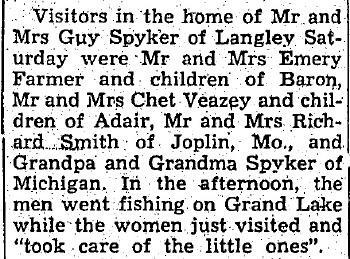 In August 1959 at Baron, Oklahoma, E B Veazey family reunion. 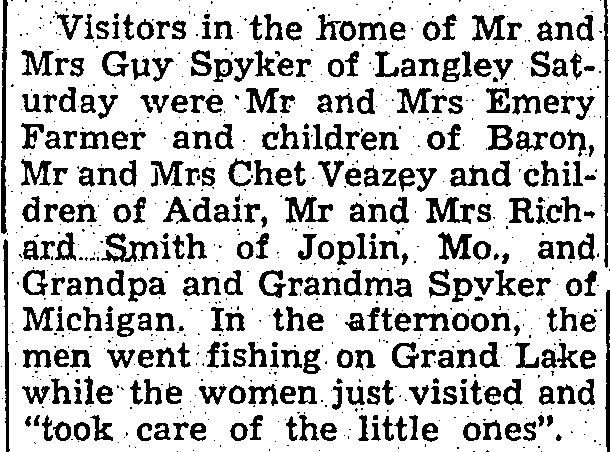 On 1 October 1964 Visitors in the home of Mr and Mrs Guy Spyker of Langley Saturday were Mr and Mrs Emery Farmer and children of Baron, Mr and Mrs Chet Veazey and children of Adair, Mr and Mrs Richard Smith of Joplin, Mo., and Grandpa and Grandma Spyker of Michigan. (actually Wisconsin). Conrad Zintz was born on 17 May 1821 at Prussia. He was the son of Jacob Zintz and Elizabeth (?). Conrad Zintz married Magdalena Adams, daughter of (?) Adams and unknown (? ), on 23 June 1845. [S6] Wisconsin, Wisconsin Vital Record to 1907, Vol 01 Reel 114. [S249] U.S. Federal Census 1850 U.S. Federal Census, by Ancestry.com, Dwelling 222. 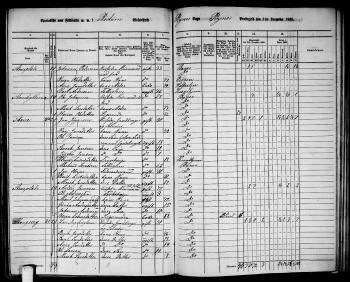 [S246] U.S. Federal Census 1880 U.S. Federal Census, by Ancestry.com, NA Film Number T9-1445. Sheet 95D. Dwelling 69. Name Variation Magdalena Adams was also known as Magdaline. Married Name 23 June 1845 As of 23 June 1845,her married name was Zintz. Magdalena Adams was born on 26 March 1825 at Pennsylvania. She was the daughter of (?) Adams and unknown (?). Magdalena Adams married Conrad Zintz, son of Jacob Zintz and Elizabeth (? ), on 23 June 1845. Magdalena Adams died on 7 June 1896 at Ithaca, Richland, Wisconsin, at age 71 Mrs Magdalena Zintz, aged about 70 years, died at her home in this city on Sunday last. She was one of the pioneer settlers of the county whose ranks are being rapidly depleted by death. The funeral was held from the Presbyterian church on Tuesday and the remains taken to Willow Creek cemetery for interment. [S213] Richland Republican Observer, June 11, 1896. Caroline Zintz was born on 14 April 1846 at Pottsville, Schuylkill, Pennsylvania. [S335] Richland Observer Newspaper, From the Richland Republican and Observer ; July 28, 1881; pg8, col6. Name Variation Henry W. Zintz was also known as H. W.
Name Variation Henry W. Zintz was also known as Henry H.
Henry W. Zintz was born on 20 February 1863 at Wisconsin. Henry W. Zintz married Eudora Derrickson, daughter of Christopher Columbus Derrickson and Mary Etta Parker, circa 1892. Henry W. Zintz died on 23 October 1932 at age 69. On 7 January 1919 at Fountain Zintz, on furlough from Camp Funston. Raymond Zintz honorably discharged..
[S245] U.S. Federal Census 1900 U.S. Federal Census, by Ancestry.com, ED115. Dwelling 101. [S244] U.S. Federal Census 1910 U.S. Federal Census, by Ancestry.com, ED39. Dwelling 42. Married Name circa 1894 As of circa 1894,her married name was Bloom. Emma Marie Zintz was born on 20 January 1865 at Wisconsin. Emma Marie Zintz married Samuel Lincoln Bloom, son of Andrew J. Bloom and Caroline Roof, circa 1894. Emma Marie Zintz died on 13 November 1940 at age 75. Emma Marie Zintz had 2 with 2 living in 1900 children. In September 1931 Mr and Mrs George N Baer of Corona, Mrs Daisy Craig of Monrovia, Mrs S L Bloom and Mrs W C Drush of Hugo, Oklahoma spent Sunday with C T Zintz and family in Van Nuys. Mr Zintz is a brother of Mrs Bloom and Mrs Baer. It was a reunion after eighteen years separation. [S245] U.S. Federal Census 1900 U.S. Federal Census, by Ancestry.com, ED221. Dwelling 46. [S243] U.S. Federal Census 1920 U.S. Federal Census, by Ancestry.com, ED65. Dwelling 67. [S250] U.S. Federal Census 1930 U.S. Federal Census, by Ancestry.com, ED12-10. Dwelling 33-56. Name Variation Conrad T. Zintz Jr. was also known as T. C.
Conrad T. Zintz Jr. was born on 27 April 1867 at Wisconsin. 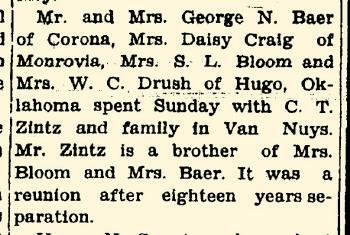 Conrad T. Zintz Jr. married Margaret (?) circa 1890. Conrad T. Zintz Jr. married Katherine Yelley, daughter of (?) Yelley and (?) Salva, before 1930. In June 1931 George N and Catherine (Zintz) Baer 56th wedding anniversary celebration. In September 1931 Mr and Mrs George N Baer of Corona, Mrs Daisy Craig of Monrovia, Mrs S L Bloom and Mrs W C Drush of Hugo, Oklahoma spent Sunday with C T Zintz and family in Van Nuys. Mr Zintz is a brother of Mrs Bloom and Mrs Baer. It was a reunion after eighteen years separation. [S244] U.S. Federal Census 1910 U.S. Federal Census, by Ancestry.com, ED127. Dwelling 483. [S243] U.S. Federal Census 1920 U.S. Federal Census, by Ancestry.com, ED167. Dwelling 272. [S250] U.S. Federal Census 1930 U.S. Federal Census, by Ancestry.com, ED19-834. Dwelling 470. Frank E. Zintz was born on 8 March 1870 at Wisconsin. Frank E. Zintz married Nell Victoria Wey, daughter of William Henry Wey Sr. and Lillian Abbie Ann Puffer, on 9 April 1893. Frank E. Zintz died on 20 October 1942 at age 72. [S250] U.S. Federal Census 1930 U.S. Federal Census, by Ancestry.com, ED12-3. Dwelling 103. Name Variation Eudora Derrickson was also known as Dora. Married Name circa 1892 As of circa 1892,her married name was Zintz. Eudora Derrickson was born in May 1868 at Wisconsin. Eudora Derrickson married Henry W. Zintz, son of Conrad Zintz and Magdalena Adams, circa 1892. Eudora Derrickson died after April 1930. Eudora Derrickson had 2 with 2 living in 1910 children. On 7 January 1919 at Fountain Zintz, on furlough from Camp Funston. Raymond Zintz honorably discharged..
Raymond Henry Zintz was born on 29 July 1893 at Wisconsin. He was the son of Henry W. Zintz and Eudora Derrickson. On 5 June 1917 at World War I Draft Registration, Dane, Wisconsin. 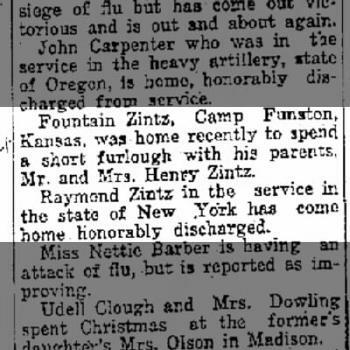 On 7 January 1919 at Fountain Zintz, on furlough from Camp Funston. Raymond Zintz honorably discharged..
Name Variation Fountain Samuel Zintz was also known as F. S.
Fountain Samuel Zintz married Lillian (?) circa 1919. On 1 June 1917 at World War I Draft Registration, Dane, Wisconsin. [S6] Wisconsin, Wisconsin Vital Record to 1907, Reel 0264 Record 002821. Name Variation Abel Reagles was also known as Ragles. Name Variation Abel Reagles was also known as Abraham. Abel Reagles was born on 28 January 1824 at Mercer (now Lawrence), Pennsylvania. He was the son of Abraham Reagles and Lucritia Sippy. 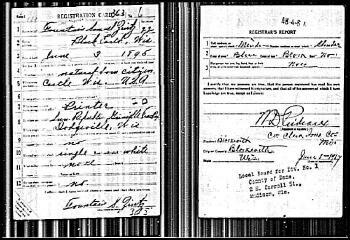 Abel Reagles married Priscilla E. Sippy, daughter of Dr. Joseph Sippy and Martha Cogswell, on 3 November 1844 at Akron, Fulton, Indiana, Able Reagles went to work for Dr. Joseph Sippy, when 14 years of age and lived with him until 21 years old. He was then married to Priscilla, daughter of Dr. and Mrs. Sippy and came Richland county in 1854. Abel Reagles died on 21 September 1906 at Ithaca, Richland, Wisconsin, at age 82. He was buried after 21 September 1906 at Neptune Cemetery, Richland, Wisconsin. William Shakespeare Reagles was born on 12 July 1867 at Richland, Wisconsin. William Shakespeare Reagles married Louise (?) circa 1890. William Shakespeare Reagles died in 1939. [S245] U.S. Federal Census 1900 U.S. Federal Census, by Ancestry.com, ED115. Dwelling 152. Married Name circa 1890 As of circa 1890,her married name was Reagles. Louise (?) was born in April 1866 at Wisconsin. She married William Shakespeare Reagles, son of Abel Reagles and Priscilla E. Sippy, circa 1890. Louise (?) died after February 1920. Buford William Reagles was born on 7 October 1893 at Wisconsin. Buford William Reagles married Bessie M. (?) before 1913. On 5 June 1917 at World War I Draft Registration, Rock, Wisconsin. [S243] U.S. Federal Census 1920 U.S. Federal Census, by Ancestry.com, ED205. Dwelling 104. [S250] U.S. Federal Census 1930 U.S. Federal Census, by Ancestry.com, ED40-189. Dwelling 1. Name Variation George Keith Reagles was also known as G. K.
George Keith Reagles was born on 23 January 1900 at Wisconsin. George Keith Reagles died on 20 February 1992 at Waukesha, Wisconsin, at age 92. 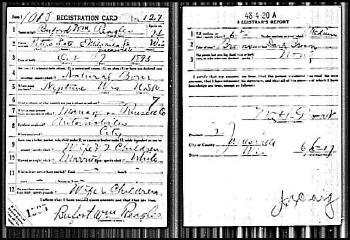 George Keith Reagles obtained US Social Security Card at Wisconsin; last residence Sussex, Waukesha, Wisconsin. Name Variation Priscilla E. Sippy was also known as Shippy. Married Name 3 November 1844 As of 3 November 1844,her married name was Reagles. Priscilla E. Sippy was born on 27 June 1827 at Granger, Medina, Ohio. She was the daughter of Dr. Joseph Sippy and Martha Cogswell. Priscilla E. Sippy married Abel Reagles, son of Abraham Reagles and Lucritia Sippy, on 3 November 1844 at Akron, Fulton, Indiana, Able Reagles went to work for Dr. Joseph Sippy, when 14 years of age and lived with him until 21 years old. He was then married to Priscilla, daughter of Dr. and Mrs. Sippy and came Richland county in 1854. Priscilla E. Sippy died on 17 March 1901 at Neptune, Richland, Wisconsin, at age 73. She was buried after 17 May 1901 at Neptune Cemetery, Richland, Wisconsin. William J. Ronan was born on 2 December 1904 at South Dakota. He was the son of James Ronan and Mary N. (?). William J. Ronan married Ethelyne Mae Heisler, daughter of Fred S. Heisler and Hannah C. Sand, on 12 June 1929. William J. Ronan died on 17 December 1972 at Sioux Falls, South Dakota, at age 68. [S244] U.S. Federal Census 1910 U.S. Federal Census, by Ancestry.com, Year: 1910; Census Place: Emmet, Union, South Dakota; Roll: T624_1489; Page: 7A; Enumeration District: 0431; Image: 573; FHL Number: 1375502. Mathias Haugen was born in January 1857 at Norway. He married Laura Norbeck, daughter of Reverand George Persson Norbeck and Karen Larsdatter Kongsvik, on 10 May 1895. Mathias Haugen died in 1930. Mathias Haugen immigrated in 1884. [S245] U.S. Federal Census 1900 U.S. Federal Census, by Ancestry.com, ED79. Dwelling 3. [S244] U.S. Federal Census 1910 U.S. Federal Census, by Ancestry.com, Year: 1910; Census Place: Moore, Charles Mix, South Dakota; Roll: T624_1478; Page: 4B; Enumeration District: 0096; FHL microfilm: 1375491. [S243] U.S. Federal Census 1920 U.S. Federal Census, by Ancestry.com, ED 47. Dwelling 115. 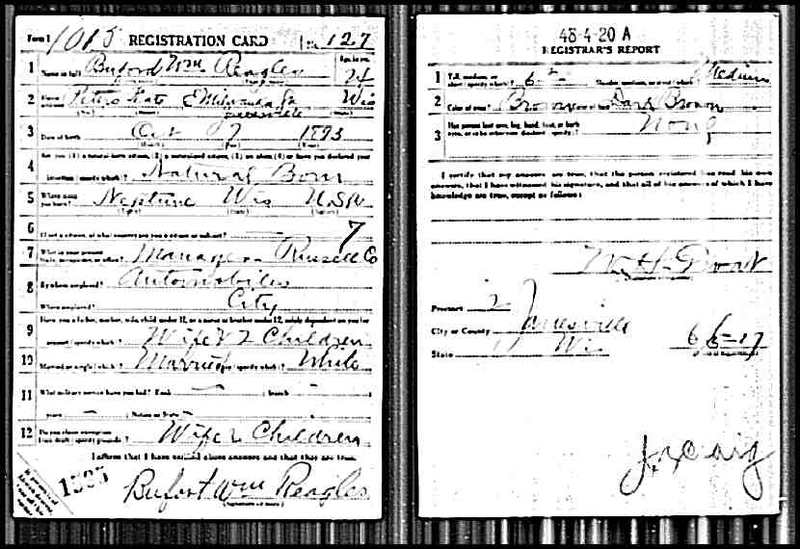 [S9] South Dakota, South Dakota Birth Records South Dakota, State File Number: 528538 (unknown file date). Martin Lewis Anderson was born in July 1871 at Wisconsin. He was the son of Nels Anderson and Thornbeng Oakland. Martin Lewis Anderson married Emma Norbeck, daughter of Reverand George Persson Norbeck and Karen Larsdatter Kongsvik, circa 1895. Martin Lewis Anderson died on 13 January 1948 at age 76. 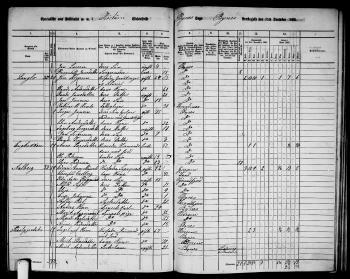 [S246] U.S. Federal Census 1880 U.S. Federal Census, by Ancestry.com, NA Film Number T9-0115 Page Number 475B. [S245] U.S. Federal Census 1900 U.S. Federal Census, by Ancestry.com, ED71. Dwelling 171. 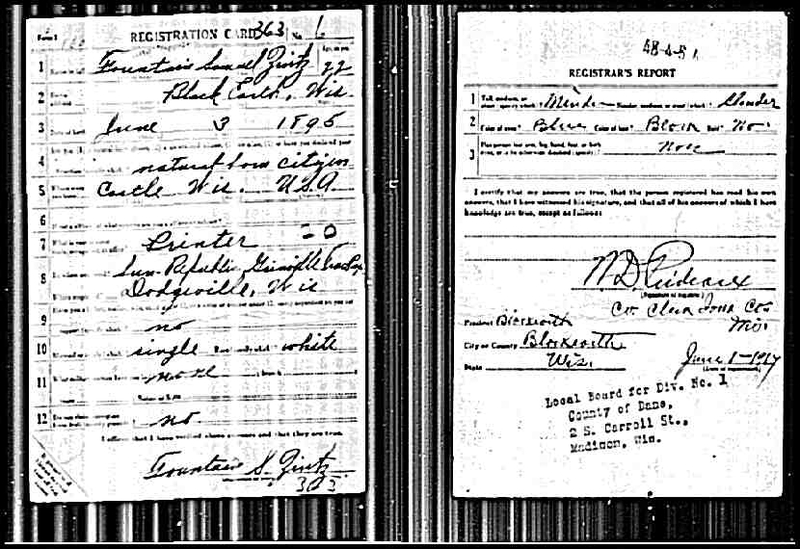 [S9] South Dakota, South Dakota Birth Records South Dakota, State File Number: 769874 (unknown file date). Lars Ingebrigtsen Kongsvik was born circa 1820. He married Berit Johnsdatter Stene, daughter of Jon Olsen Stene and Berith Erichsdatter, after May 1864 2nd marriage for Berit. Lars Ingebrigtsen Kongsvik died after 1891. List: Døde og begravde b 1878-1897.